They met on the set of Step Up, and have since been the social media golden couple who danced their way into the public’s collective heart. 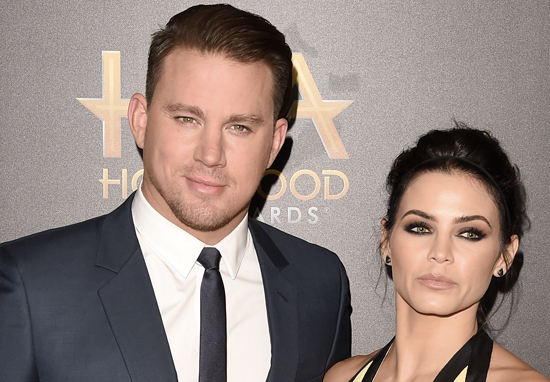 But in devastating news today, Channing Tatum and Jenna Dewan-Tatum have announced they are to separate after nearly nine years of marriage. Adding they wouldn’t be commenting further and asking fans to respect their privacy at this time, the couple also went on to say it feels ‘odd’ to share the news publicly. We’re living in an incredible moment in time, but it’s also a time when truth can easily get distorted into ‘alternative facts’. So we want to share the truth so you know that if you didn’t read it here it’s most certainly fiction. Jenna and Channing were last seen together at a public event in November 2017, but seemed happier than ever on social media. The couple met on the set of the 2006 film Step Up and got hitched in July 2009. – far be it for us to assume their careers have any reflection on their intimacy behind closed doors. But they sure did know how to put on a show! Channing and Jenna regularly appeared on star-studded red carpets together and jointly contributed one of the best Lip Sync Battles in televisual history not long ago. Jenna, a professional dancer by trade and Channing, who also danced his way onto the silver screen and continued to do so in films like Magic Mike, are parents to a four-year-old little girl called Everly. She will turn five in May this year. All the best to both Channing and Jenna as well as their young daughter at this difficult time.